Our US store is currently not open for business. We are still in business in Canada. 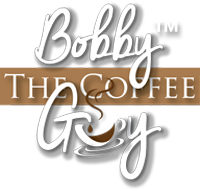 Visit www.bobbythecoffeeguy.ca. Bobby the Coffee Guy sells premium coffee and tea throughout Canada. Free Shipping on orders over $59. Our USA site is currently offline. Bobby the Coffee Guy sells premium coffee and tea throughout the USA. Free Shipping on orders over $59.